On NetGalley Insights, we highlight the successes of NetGalley publishers and authors, and share some of their strategies. Today, we’re hearing from Jayne Allen about her debut novel, Black Girls Must Die Exhausted. Allen used a multi-tiered, timely marketing strategy to help Black Girls Must Die Exhausted keep finding new NetGalley readers throughout its lifecycle on the site. An intriguing title and visually enticing cover helped the book find an audience looking to see themselves reflected in the characters they read about — including book clubs whose members became some of her biggest advocates! Black Girls Must Die Exhausted became available on NetGalley shortly before its pub date and stayed up after it went on sale. Tell us how you came to use NetGalley primarily as a post-pub tool and why that works for you. Allowing the book to be offered for sale during the NetGalley window worked best for me because it allowed NetGalley reviewers to post directly on the Amazon sales page as a consumer review, which meant more early reviews for the book, and it allowed us to start recouping the editing and production investment much earlier. At first, I was concerned that being on NetGalley might somehow erode sales, but the simultaneous window actually served to increase sales and start Black Girls moving up the charts much more quickly. Additionally, Jayne Allen is a new pen name for me for fiction. I truly started fresh with this book. I had no email list and told none of my personal network about my novel. On Instagram, @JayneAllenWrites started with not even 30 followers, and there was no website and no Facebook page. All of the early momentum was about the substance of the book itself and the strength of the honest reader response. Thankfully, the NetGalley community responded positively to the work and passion that went into Black Girls Must Die Exhausted and created the early lift that has allowed this project to fly forward. You ran several marketing campaigns with NetGalley – two Category Spotlights in September, when the book published, a Featured Title placement the next month, and then two more Category Spotlights in February. Tell us about the strategy behind your on-site NetGalley marketing. Why was this combination and timing the best fit for your unique goals? While I am a passionate advocate for an increase in the volume of diverse and multicultural books in the publishing landscape, the lower number of books in the category as compared to “mainstream” fiction did work to my advantage for visibility on NetGalley. Based on the early response, it was clear that NetGalley readers are hungry for more fresh perspectives and cultural narratives. Still, the NetGalley platform is a popular destination, with new titles being added regularly to all categories. After the initial arrival of Black Girls Must Die Exhausted, the title wasn’t as prominent as before. I used the Category Spotlight at the beginning to ensure visibility because I felt that the uniqueness of my protagonist and the diverse character mix would be a strong draw for people looking for something new and different in the realm of multicultural narratives. The early reviews were positive, [so] I used the Featured Title placement to expand to a broader range of readers. As February is Black History Month, I felt that there would undoubtedly be many more readers looking for black cultural perspectives, and I wanted to make sure that they saw Black Girls Must Die Exhausted and had the opportunity to make it part of their Black History Month experience. Reviews are really the gold bullion currency of book sales. Nothing beats social proof other than direct word of mouth endorsement. NetGalley’s community of avid and engaged readers provided that during the critical post-publication period. The first four months of the marketing plan and budget for Black Girls Must Die Exhausted solely focused on NetGalley and Amazon advertising, nothing more than merely soliciting reviews and point-of-sale exposure. Until the reviews reached a critical mass, I did no author platform building and was not active on social media. Reviews are truly the most vital asset to have. As an independent publisher, you have to be careful to do things in the correct timing and order so as not to waste precious resources by starting promotions or marketing efforts that are premature, especially as a debut author. Which segments of the NetGalley community have been most important to you and why? I knew that the uniqueness of the Black Girls Must Die Exhausted title would allow the audience for the book to define itself. The readers interested in multicultural works were the most active, but at its base, Black Girls Must Die Exhausted is very much chick lit, albeit with a social conscience. You have a typical 30-something professional woman who just wants what we all do at the root of things – to be loved. Only in this book, she also happens to be black with a cultural perspective not often seen in chick lit. As I observed from the reviews and response on NetGalley, black female readers were so happy to finally see themselves reflected in such a multi-layered way in fiction, with their “blackness” written into the experience without overpowering it. Non-black readers were excited to find that they could relate to a story that was culturally authentic but not exclusionary. 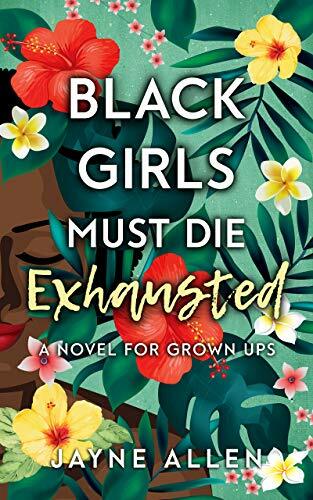 It was a beautiful thing for me to read many of the reviews from both of the segments that Black Girls Must Die Exhausted reached – Multicultural Interest and Women’s Fiction. We heard that you’ve been working with book clubs. How has NetGalley fit into your book club outreach? The book clubs found me! Several book club representatives accessed the title for evaluation over the period that Black Girls Must Die Exhausted was on NetGalley. It appears that book clubs use NetGalley to source new and interesting titles for their groups. I had no idea that my book had been selected until I received the emails asking for discussion questions, and one asking if I would participate in their meeting to discuss my book via live stream. Since then, several of the book club members have become some of my most engaged connections on social media. Black Girls Must Die Exhausted was available to any interested member as a Read Now title. Tell us about why you chose that availability setting. At first, I was concerned that the Read Now setting would lead to a “free for all” without quality reviews from engaged readers who were genuinely interested in reading the book … It worked out wonderfully, and I was happy to give newer reviewers the opportunity to build their reviews on the platform as well. This was my first experience using NetGalley directly. The prior time, my nonfiction book Regroup was managed by my PR representative, Smith Publicity. At first, I was concerned that the Read Now setting would lead to a “free for all” without quality reviews from engaged readers who were genuinely interested in reading the book. Ultimately, I decided that it was more important, at least at first, to reach more readers than less, especially with a debut novel from a new voice in fiction. I told myself that if there seemed to be an issue, I could always quickly change the setting. Over the course of the entire NetGalley window, I never did. It worked out wonderfully, and I was happy to give newer reviewers the opportunity to build their reviews on the platform as well. 38% of members with access to the title listed the cover as a reason for request. What message did you want to send to potential readers when you were designing the cover? My professional background is in branding and marketing. It was essential to me to design a cover that was as delicious as possible to the eyes. I wanted to send a signal of the deliberate quality that went into every nook and cranny of the work. As a visual symbol, I wanted to represent the vibrancy and the richness of life, which is one of the underlying themes of the book – living life to the fullest. The title Black Girls Must Die Exhausted is a little cheeky, so I let the cover tell more of the actual story. Perhaps most important, I wanted the cover to make women feel gorgeous holding the book and for them to feel proud of what they were reading. 46% of members with access said that the description was their reason for request. How did you think about drawing in readers with your copy? For black women, I just knew instinctively that the title would speak a truth to them that they would want to explore within themselves. For non-black women and men, I believed that the title would signal an honesty and depth of perspective that would be a rare opportunity to experience outside of one’s own culture. It was all a bit of a risk, but I’m glad that I took it. How have you been interacting with members who have access? Have you followed up with them via email? I try to be extra judicious with my email communications and only send a message when I have something positive and important to share. For example, Black Girls Must Die Exhausted had been on NetGalley for a couple of months already when we finally received the Kirkus review. Even though it was favorable and exciting, I didn’t share the news via email until Kirkus informed me that their editors selected their review of the book for inclusion in the print version of Kirkus Reviews magazine, a distinction that less than 10% of independently published books receive. That was email-worthy! Still, I waited until it was also a reasonable time to remind the readers of the NetGalley window to make sure they didn’t miss the book in their long queue of reading. The average publishing industry email open rate is around 14%, and mine was 51% for my first email and 38% for the second. That is a pretty favorable demonstration of the overall engagement and enthusiasm of the NetGalley community for books and the publishing industry as a whole. How have you been leveraging your NetGalley listing outside of the site? Have you been including it in emails, newsletters, or trade ads? NetGalley has been an excellent avenue for providing review copies of Black Girls Must Die Exhausted to fulfill media and book club requests. It was so much more efficient and secure than blindly emailing copies. Also, for many of the requesters, referencing NetGalley seemed to send an additional signal that Black Girls Must Die Exhausted was a book to be taken seriously and be meaningfully considered. What’s your top tip for other independent debut authors? I would advise making sure that you have a substantial base of reviews before moving on to other marketing efforts, ideally at least 25 to 30. It is ok to focus 100% of your efforts on garnering reviews at the beginning to ensure that you get the performance and return you’re hoping for when you do eventually direct resources toward other paid marketing efforts. 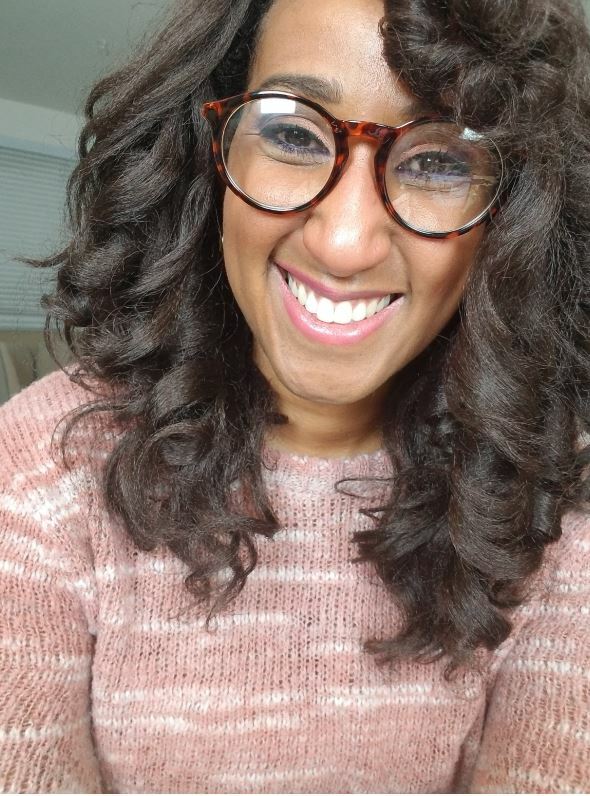 Bio: Jayne Allen is a black girl from Detroit who smiles widely, laughs loudly and loves to tell stories that stick to your bones. Her debut novel, Black Girls Must Die Exhausted touches upon contemporary women’s issues such as workplace “impostor syndrome,” race, fertility, modern relationships, and mental health awareness, echoing her desire to bring both multiculturalism and multidimensionality to contemporary fiction with dynamic female protagonists who also happen to be black. When she’s not writing “chocolate chick lit with a conscience,” you can find her discussing the publishing business at Book Genius, hosting the Book Genius Meetup in LA or simply spending time with her colorful friends and family, keeping one ear open for her next saucy tale.